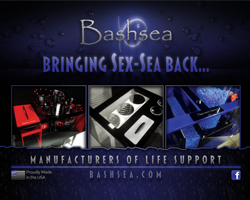 Here’s some more bad press for the aquarium hobby. 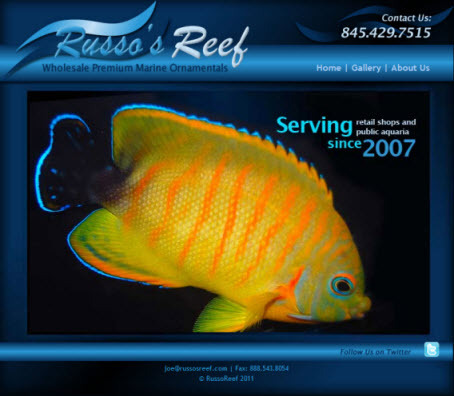 Joseph Russo, co-owner of Russo’s Reef in Garnerville, New York, has pleaded guilty to a federal criminal complaint that he was charged with last year. In that complaint, Russo was accused of illegally smuggling Dendrophyllia coral into the US through John F. Kennedy Airport in November 2011 and soliciting fraudulent invoices from a foreign supplier in order to mislead customs agents back in March 2010. All in all, Russo was accused of smuggling a total of 12 pieces of Dendrophyllia that were both tucked away into bags with other corals and mislabeled. For those corals and trying to get fraudulent invoices, Joseph Russo has been ordered to pay more than $500,000 to the federal government and could face up to 20 years in prison. His sentencing is scheduled to be in July. While Russo is a licensed importer and exporter of live corals, he didn’t have the proper permits for the 12 corals he has been accused of illegally importing. While this may appear on the surface to just be an issue with paperwork, it turns out that Russo knew the corals were illegally collected and had them deceptively packaged so that they could be brought into the US without having to pay for those additional permits. Even though Russo is facing some serious jail time, we doubt he’ll be slapped with any amount of time behind bars. That said, we’re sure he’ll have to pay a big portion, if not all of that huge fine. Ridiculous fine and jail time. Murderers get less time, and don’t pay a cent to the family of their victims. I am also surprised at the amount of the fine…..$500,000.00 for 12 corals? Pretty steep indeed! The problem I see here is that he deliberately try to smuggle the corals. I am thinking he will get his license suspended or placed on probation at a minimum. We all have to respect USFWLS laws and run a clean business for the sake of the entire industry. 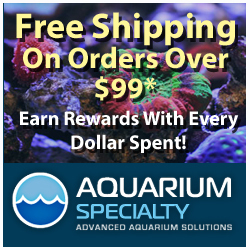 I do believe that smuggling is a very rare case within the Aquarium trade. Am I being naive? Serves him right. I have dealt with Russo’s Reef in the past and Joe is not someone I would like to deal with on a regular basis. He was always very shady in his operations and threatens his customers on how to sell his corals and/or fish. I’m sorry but I don’t feel the least bit sorry for him. The laws are what they are and I’m sure it clearly states the penalties faced when they are broken. It’s to bad guys like Joe have to ruin the entire hobby for everyone else.